The New York Times’ (12/10/13) Parag Khanna opines about the world of the future, where nation-states have become obsolete. 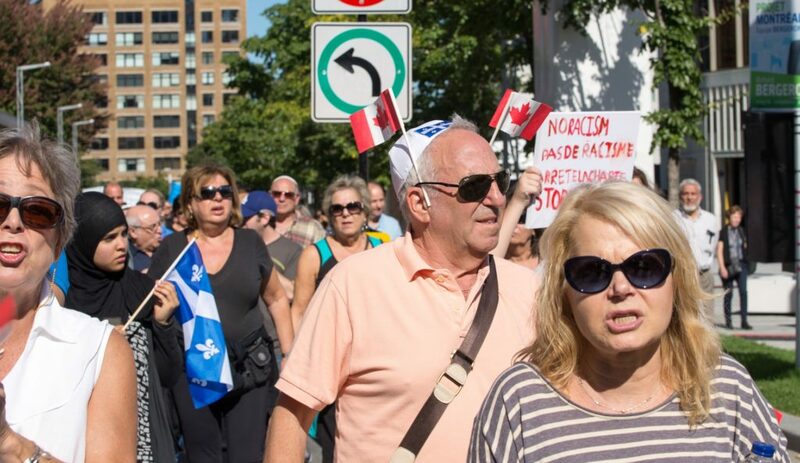 The Global Jewish News Source (08/10/13) analyses the political milieu in Quebec and how Quebecois nationalism affects the region’s Jewish community. Al Jazeera (06/1/13) reports on the proposed formation of a Russia-led Eurasian Union (EAU), however critics have stated that this move could compromise the sovereignty and independence of Caucasus states. The Washington Post (04/10/13) reports on the recent flare up of ethnic and religious conflict in Kenya, due to the recent murder of a well-known Muslim cleric. The Gatestone Institute (19/9/13) provides an analysis on the deep split in Turkish society, which is evident by the recent spate of government protests in the country. 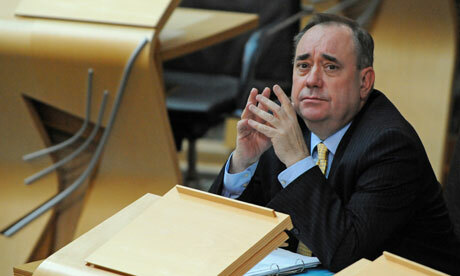 The Guardian (17/09/13) reports on criticisms of the leader of the Scottish National Party (SNP), Alex Salmond, by his former aide. CNN (17/09/13) reports that for the first time ever an American of Indian descent has won the Miss America title, which also sparked a series of ethnic and racist comments on the internet. Globe and Mail (12/09/13) reports that Québécois MP, Maria Mourani, has been kicked out of her Parti Québécois for denouncing the party’s Charter of Quebec Values as discriminatory. The National Post (13/09/13) comments on the subject and on the Charter’s widespread condemnation by other Canadian leaders. RiaNovosti (11/09/13) reports on a recent national poll in Russia, which examined key factors which influence national identity, and revealed that sexual orientation and ethnicity were on top of the list. Albawaba (10/09/13) reports on Saudi themed contact lenses which have become popular in celebrations of Saudi Arabia’s national day, to be held on September 23rd. Al Jazeera (09/09/13) reports on Norway’s recently held national elections, in which the Conservative Party and its right-wing allies defeated the incumbent Prime Minister. Business Insider (08/09/13) has published excerpts from the book, Ancestry & Ethnicity in America, which include the book’s various ethnicity maps of the the U.S. This article explores symbolic boundaries and identity-formation of the ‘ethnonational Us’, using narrative analysis of eleven Israeli-Jewish dissidents. The hegemonic nationalist discourse in Israel – Zionism – constructs the dissidents’ identities as the ‘Virtuous Us’, yet these individuals genuinely try to connect with the ‘Demonized Palestinian Other’. 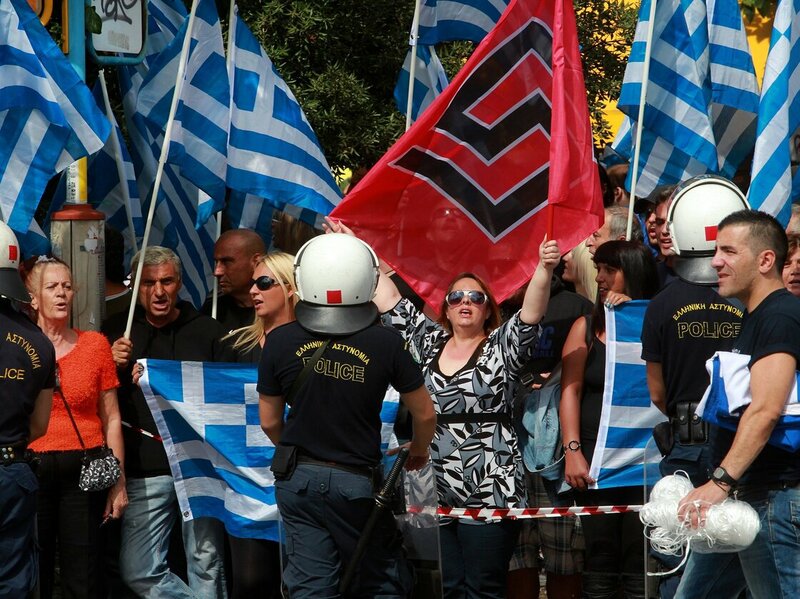 I suggest that the dissidents attempt to use alternative national identity discourses to overcome symbolic boundaries. I highlight inconsistencies within individual dissidents’ narratives and attribute them to the employment of multiple discourses, suggesting that some discourses fail to coherently reconcile ‘national’ history with the well-being of the Other, whilst others repel dissidents by appearing to negate or destroy their identities. The dissidents, therefore, cannot use the available discourses to fully overcome symbolic boundaries. Only the hegemonic nationalist discourse can offer a self-evident and compelling enunciation of the dissidents’ political reality, leading one insightful dissident to conclude that there is ‘no way out’ of his dilemma. If language, religion, ethnicity, and nation are all sources and forms of social distinction and personal identification, what happens when these categories/identities overlap or cut across each other? How are these terms used in everyday contexts, and what can we learn from the slippages between them? In light of these two questions, we question Brubaker’s sanguinity regarding religious and language pluralism in the twenty-first century. The Guardian (29/08/13) reports on the claim that Westminster’s welfare reforms could actually strengthen the case for independence. Bloomberg.com (29/08/13) features an article by Paul Collier, who argues that nationalism could combat racism rather than inflame it. The Economist (28/08/13) blogs about recent studies which designed methods of ranking languages on a universal scale of difficulty. 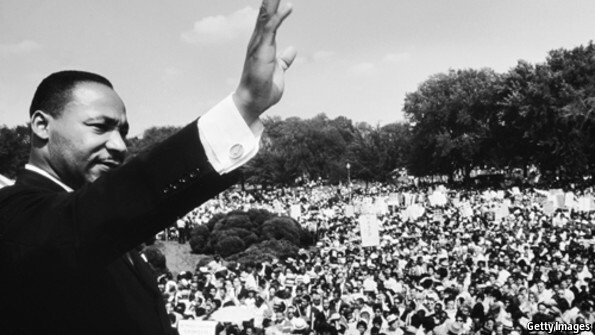 NPR.org (28/08/13) features a unique audio-visual experiment which reflects on the 50th Anniversary of the March on Washington, one of the largest civil rights rallies in U.S. history, and where Martin Luther King Jr. delivered his iconic “I have a dream” speech. The University of Manchester (27/08/13) has developed a new tool for comparing data on ethnic group, religion and nationality for any local authority in England or Wales. 972mag.com (27/08/13) analyses the creation of national identity in Israel, in light of the country’s proposed controversial law, “the Basic Law: Israel – the Nation-State of the Jewish People”. The Economist (24/08/13) analyses the progress of racial and ethnic relations in the U.S., in light the 5oth anniversary of Martin Luther King’s iconic “I Have a Dream” speech on racial equality in America. WorldBulletin.net (22/08/13) reports that Nigeria, for the first time in the nation’s history, will include questions on religion and ethnicity in its 2016 census. International Relations and Security Network (21/08/13) explores the enduring power of ethnonationalism in Israel.